There are multiple ways an artist may choose to deal with personal grief. Some allow the theme of their work to capture their feelings. 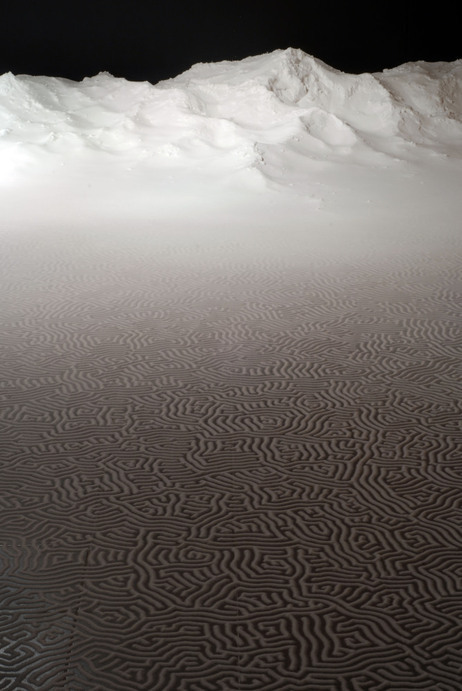 Artist Motoi Yamamoto has taken his grief work one step further by choosing a medium that itself is symbolic of death. Yamamoto was in art school in 1996 when his 24 year old sister died, just two years after her diagnosis of brain cancer. Immediately he began to use art as a way to deal with his grief. His exploration led him to the medium of salt, which is a part of the death ritual in Japan. 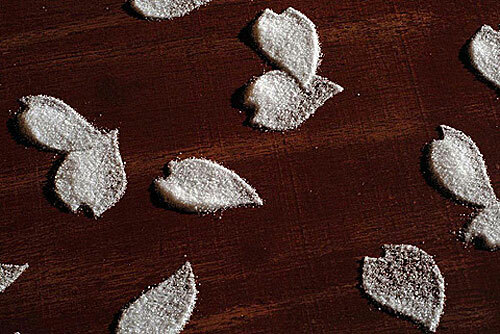 At the end of funerals, mourners are handed salt to sprinkle on themselves as a way to ward of evil spirits. Not only is salt a funeral ritual, it is also allows his masterpieces to be impermanent. 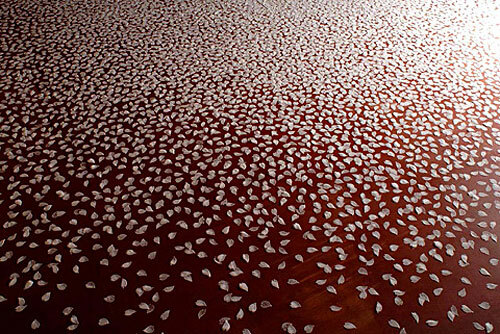 When the exhibit is finished, the piece is destroyed, and visitors are encouraged to take some salt and place it back in the sea. Symbolic, I think, of human life; a masterpiece that must come to an end, and the body returned back to the elements from which it was formed. To create the works, Yamamoto uses a simple plastic bottle, often taking 50 hours or more to complete. The amount of salt used is expansive, in the range of 2000 pounds and up. 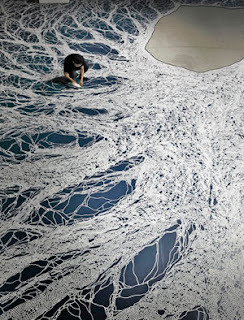 When you look at his installations, it is obvious that the process is tedious and time consuming. This too is intentional, as Yamamoto said in an interview with the Japan Times, "I draw with a wish that, through each line, I am led to a memory of my sister... That is always at the bottom of my work. Each cell-like part, to me, is a memory of her that I call up"
I find the work breathtaking in both the intricacy and the overall finished project. To see a video of Yamamoto at work see below or follow this link.